Known as ‘God’s Own Country’ Kerala is the lush, green state which forms the south-west strip of India. 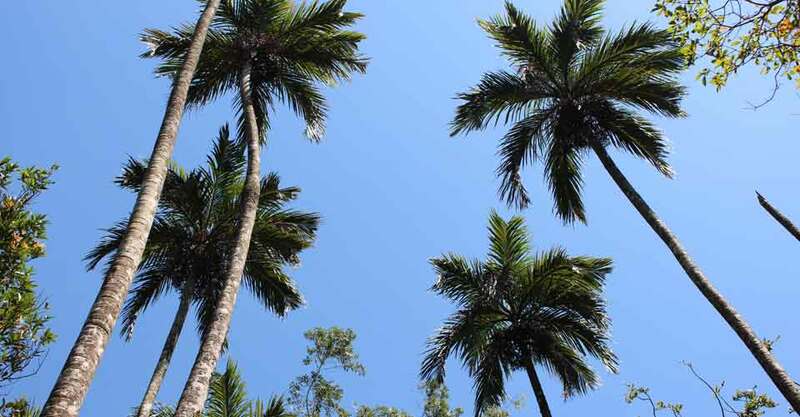 Its name means ‘land of coconuts’ – and when you visit you can see why – palm trees are everywhere! With the Arabian Sea on the west, the mountains of the Western Ghats on the east, and a network of 44 rivers, Kerala is one of the most sought-after tourist destinations in Asia. The state capital, Trivandrum, is half an hour away from Kailasam Yoga and can be reached by bus, rickshaw or taxi. It has interesting shops, museums and art galleries, temples and other facilities. The climate is tropical, but sea breezes keep temperatures pleasant. The maximum daytime temperature is usually about 32 – 33° C. The dry season is officially from November until May, with the monsoon arriving in June. However, there can be some rain at any time of year, although we usually enjoy sunny weather during the yoga holidays. 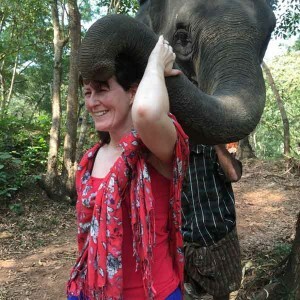 We can arrange visits to see elephants, temples, festivals, and markets where you can experience the Kerala way of life. For total relaxation, a trip to the tranquil Backwaters is a must – enjoy floating along rivers, canals and lakes alive with birds and other wildlife. The local language is Malayalam, with English widely spoken. Kerala has an excellent educational system, with the highest literacy rate in India. With its world-class health-care systems, Kerala enjoys India’s lowest infant mortality and highest life expectancy rates. We are sure you will find the Kerala people very friendly and warm – be prepared to make friends during your visit here! A fabulous introduction to the joy and colour that is India.